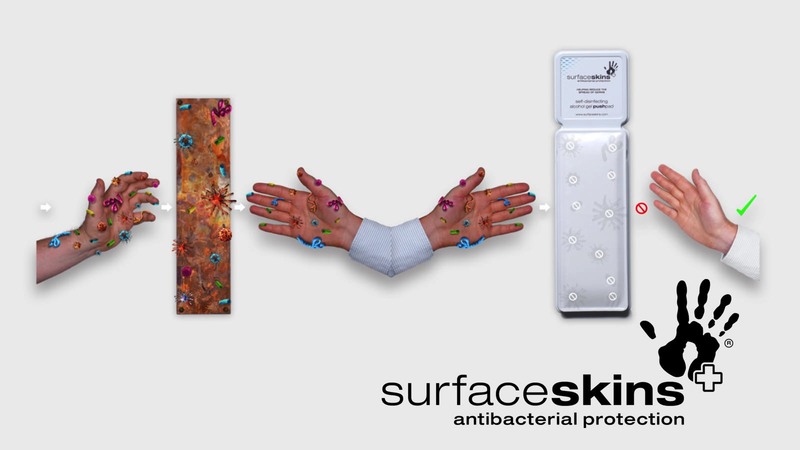 Surfaceskins are revolutionary antibacterial push plates for doors. 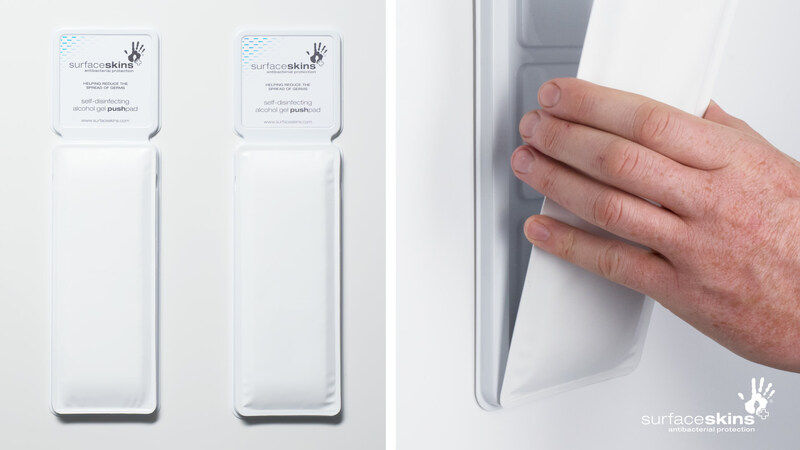 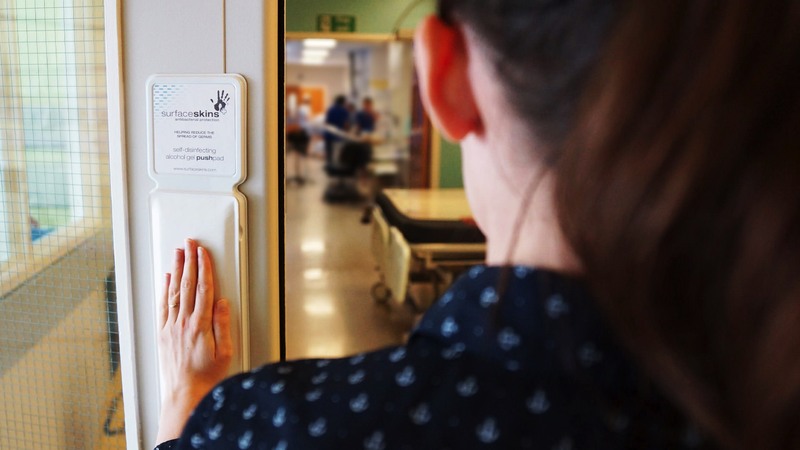 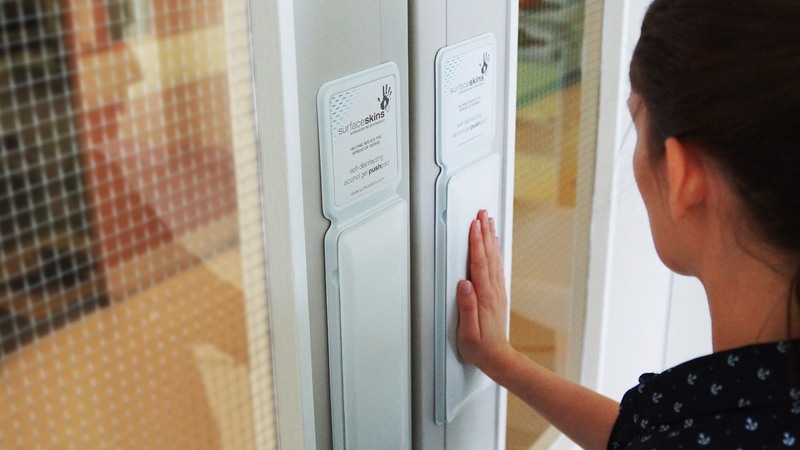 Each time the door is pushed open using the Surfaceskins door plate, the contact surface self-disinfects by releasing a small quantity of antibacterial solution via the micro-valved top sheet. 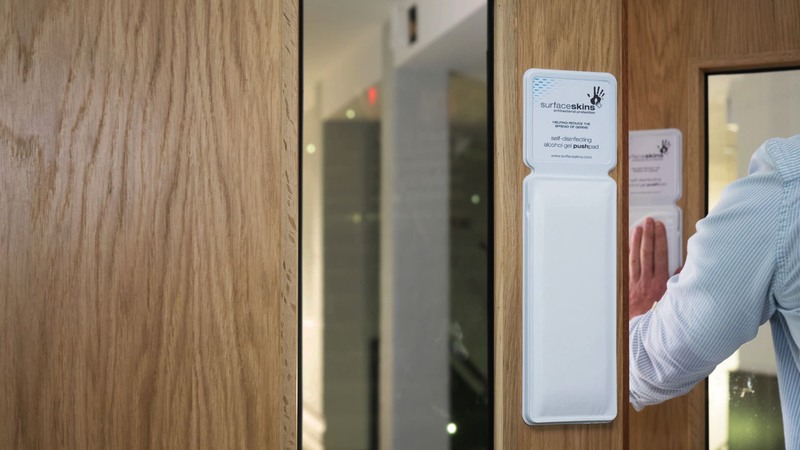 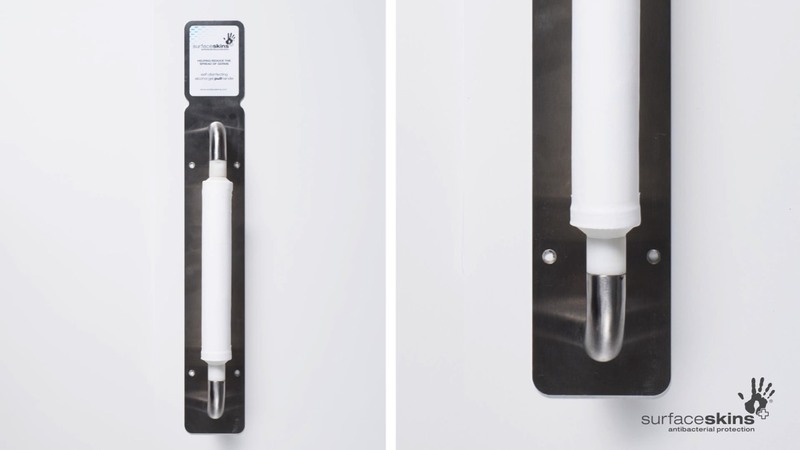 This kills most of the common germs that may be harmful in the crucial few seconds after passing through the door, reducing the risk of cross infection between one user and the next. Surfaceskins were developed in direct response to the needs of the hospital and medical sectors to fulfil a vital secondary infection control role, helping to break the chain of infection by reducing the risk of cross contamination and transmission of infections. They have passed initial NHS trials, and the benefits also extend to the hospitality, food preparation, cruise ship, and office sectors. Surfaceskins are a low cost weekly disposable product that are easy to install, snapping into a custom holster.